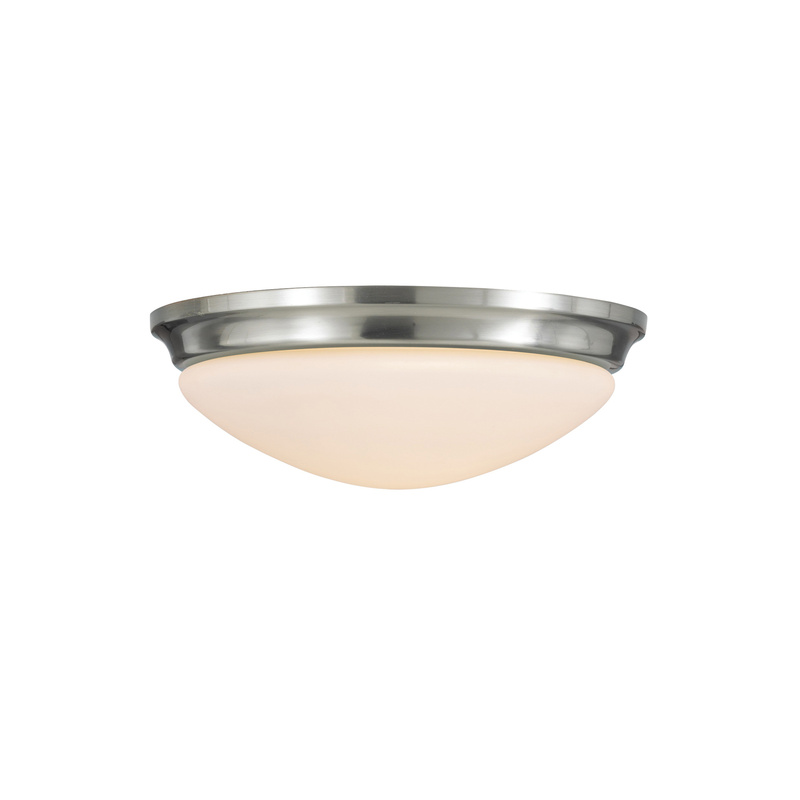 Murray Feiss Barrington Collection 2-Light flush mountable fixture features a 8-Inch cord/wire. This fixture can be converted into CFL. The fixture with a power rating of 120-Watts and voltage rating of 120-Volts AC, supports two A19 medium base lamps. Indoor fixture measuring 14-Inch x 5-1/4-Inch, has etched glass shade in opal etched finish. The fixture is UL listed.